Save on your next flight from SJJ to TAR when you book through Travelocity. Need a last-minute flight to Taranto? Travelocity offers discount airfare no matter when you book, even on popular routes such as Sarajevo Intl. Airport to M.A. Grottag Airport. Whether you need a direct or indirect flight, you can trust Travelocity to provide you with the best prices for SJJ to TAR flights. Top Flights from Sarajevo Intl. Explore Taranto with Travelocity's Travel Guides to find the best flights, cars, vacation packages and more! 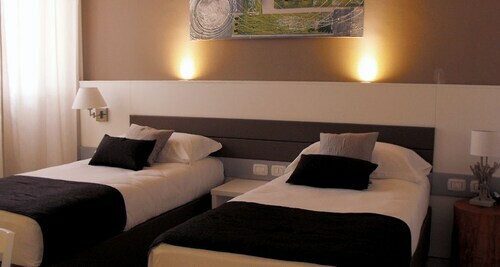 Situated in Monteiasi, this hotel is 2.5 mi (4.1 km) from Piazza of Carosino and 3.1 mi (4.9 km) from Castello Conti D'Ayala Valva. New Cathedral is 11.4 mi (18.4 km) away. Located in a rural location, this family-friendly hotel is within 9 mi (15 km) of Castello Conti D'Ayala Valva, National Archaeological Museum of Taranto, and New Cathedral. Aragonese Castle and Piazza of Carosino are also within 9 mi (15 km). 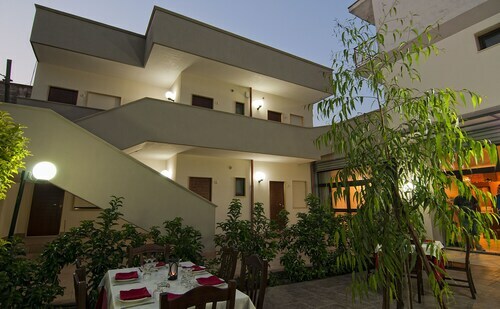 Situated in Grottaglie, this townhouse accommodation is 0.1 mi (0.1 km) from Terra delle Gravine Regional Nature Park and within 6 mi (10 km) of Piazza of Carosino and Sanctuary of Our Lady of Grace. Castello Conti D'Ayala Valva and Santuario della Madonna di Pasano are also within 9 mi (15 km). Grottaglie Station is 11 minutes by foot. 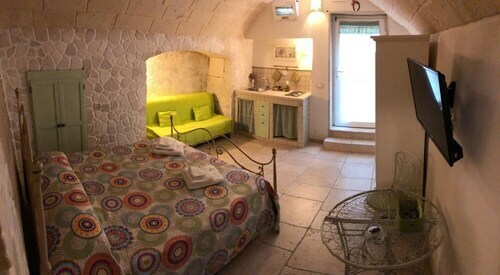 Situated in Grottaglie, this bed & breakfast is 0.1 mi (0.1 km) from Terra delle Gravine Regional Nature Park and within 9 mi (15 km) of Piazza of Carosino and Sanctuary of Our Lady of Grace. Castello Conti D'Ayala Valva and Santuario della Madonna di Pasano are also within 12 mi (20 km). Grottaglie Station is 9 minutes by foot.